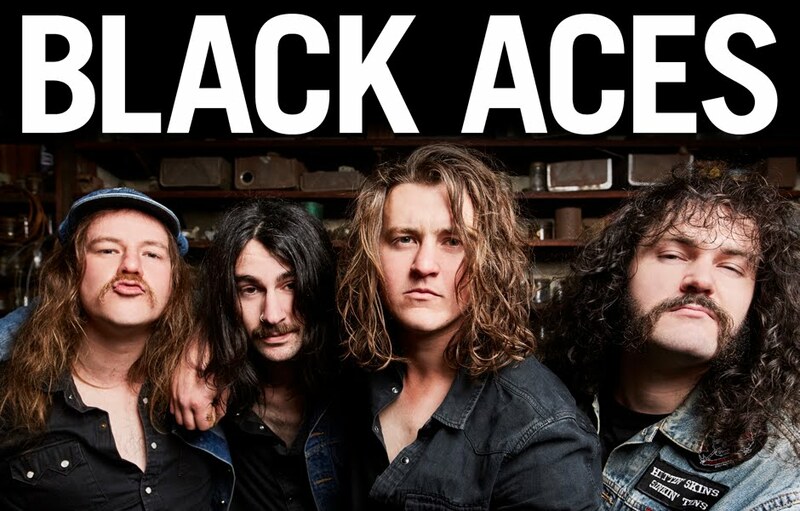 Formed in early 2007 in rural Australian town Bendigo by singer-guitarist Tyler Kinder, Black Aces set about forming a set of songs influenced by the greats of Aussie rock; AC/DC, Rose Tattoo, The Angels and Cold Chisel. Spending their early years cutting their teeth on local stages, Black Aces finally landed on the rock solid line up of Pete McMillan on drums, Alex McMillan on bass and Jazz Morrice on rhythm guitar. 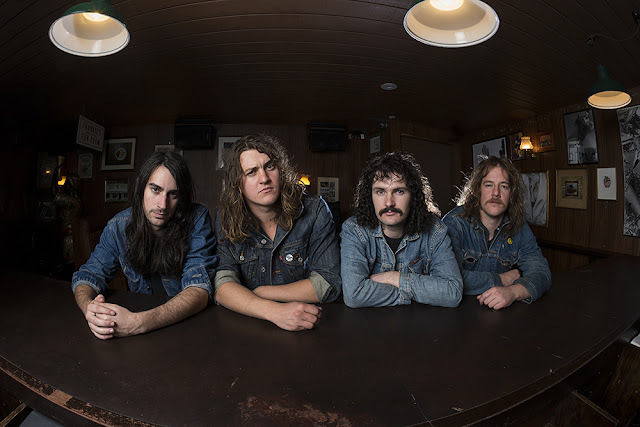 After developing a strong live following across their homeland and sharing stages with the likes of Cosmic Psychos, Angry Anderson, Dallas Crane, and The Casanovas, Black Aces released their debut album ‘Shot In The Dark’ in early 2016 and took their live show all the way to Europe and the UK. Through sheer hard work the album broke into the top 20 of the iTunes Australia rock charts, and the band ended a bumper year with a show stealing performance at Hard Rock Hell festival in Wales, alongside such heavyweights as Molly Hatchet, Living Color and Ratt- and earnt themselves a call back to the main stage in 2017. After signing a worldwide deal with UK label Off Yer Rocka, Black Aces launched their new record ‘Anywhere But Here’ in late 2017. Written in a Bendigo garage, and recorded with legendary Aussie producer Mark Opitz (AC/DC, INXS, Cold Chisel, Kiss) and Colin Wynne (Bad//Dreems), ‘Anywhere But Here’ delivers on the promise of their debut- a diverse, driving rock record by a band determined to show the world how they play rock n’ roll. After touring the UK in November to celebrate the release of their new album, the hard working Black Aces are making it 3 tours in 18 months, stepping up to the plate as special guests for the Quireboys 2018 UK Tour. Needless to say, the band plans to once again take it right up to the big boys. With a must see live show, and their new album in tow, the future looks bright for the lads from Bendigo.